Olivia is the first in a series of images relating to possible future fates of humanity. 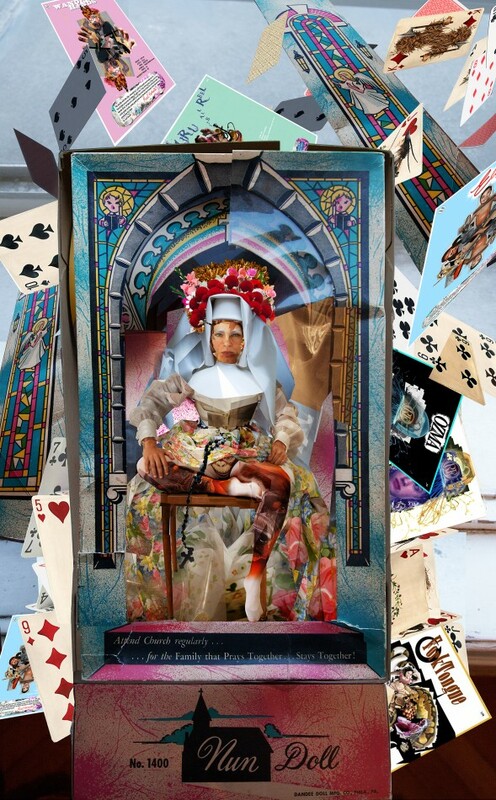 I created her to show the precariousness of various social institutions - as a visual commentary, subject to what the viewer sees; a Catholic figure, a packaged woman, the position of the joke or the aggression in carefully placed animals, the mantra, the chair as a position of power and the tears. Together with the cards, all these aspects are so very individual and as considerations, they form the basis of the next panel, the intention being for the viewer to decipher a story literally in pieces.